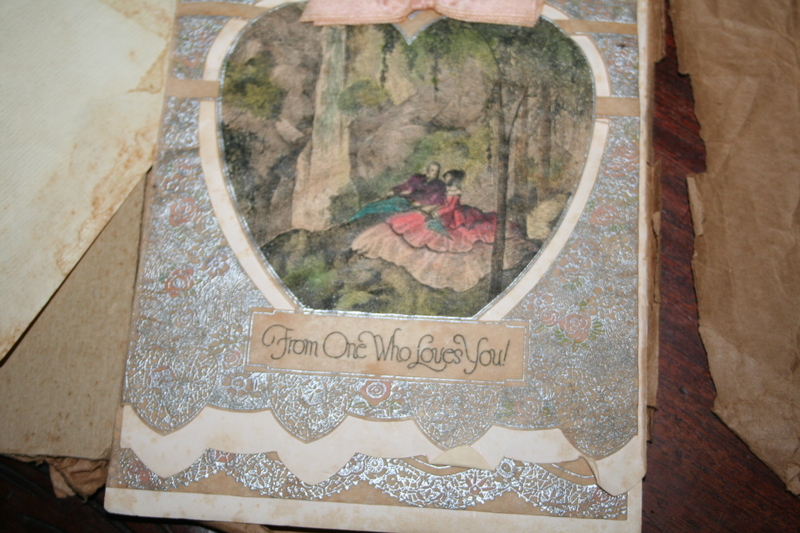 On today, this Valentine’s Day I can not help of thinking of a Valentine my Mother tucked away, hidden from everyone for so many, many years. Totally unknown to any of us yet we lived in a very small house with not much space for concealing items, much less a past love. It wasn’t until she was in her late 80s when we were going through a steamer trunk which brought my Dad’s family’s belongings or so the story goes, that I slipped my hand into the afghans my Mother crocheted stored safely in the trunk. I felt an envelope type object and slipped it out from between the cozy afghans. I looked at it. Turned to Mother and asked what is this. She gave a girlish giggle. Embarrassment perhaps or perhaps a fond memory. Hard to know with my Mother. I opened it after asking if I may. 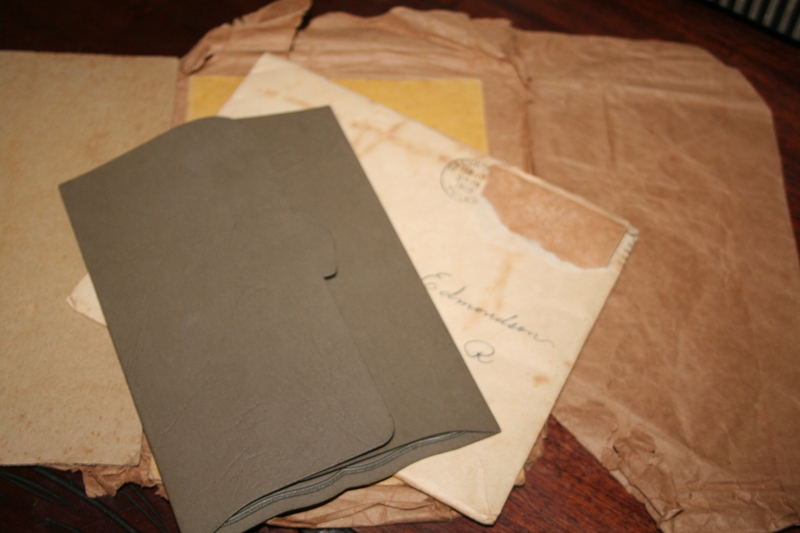 Wrapped in the frayed brown paper, probably an old grocery sack was a yellowed envelope addressed to my Mother as a young yet married woman. The postage date was February 12 1932. Stamps had long been torn off to perhaps save as many did back then. 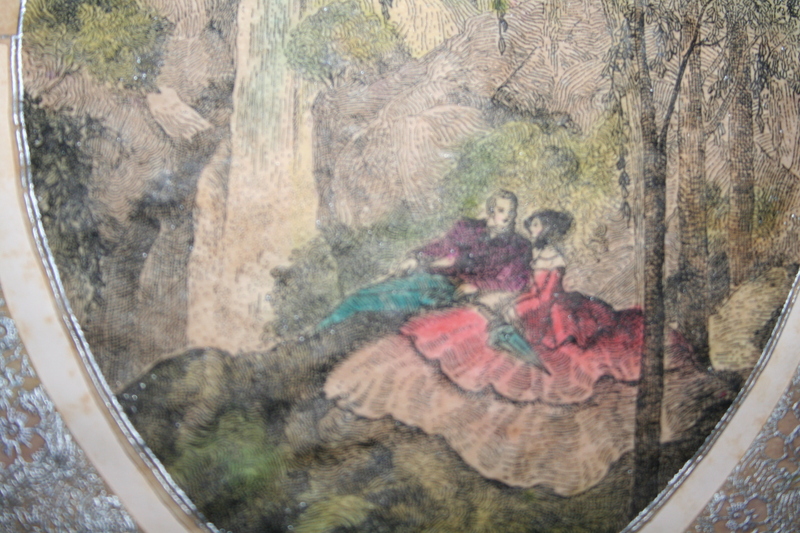 Tucked inside the envelope was a lovely Valentine with a what appeared to be a watercolor of two lovers in a forest setting. She in a lovely flowing pink dress he in dapper gentlemen’s attire. Ribbons, bows and silver overlay bordered the heart framed image. Beneath it read “From One Who Loves You”. The inside offered even more telling romance. I read the message/verse and saw the name was of someone unfamiliar to me. Francis with the year below as again they did in those days. Some still do, I suppose. Always wondered why yet I guess it is for reference if one is incline to retain all the cards sent to them. 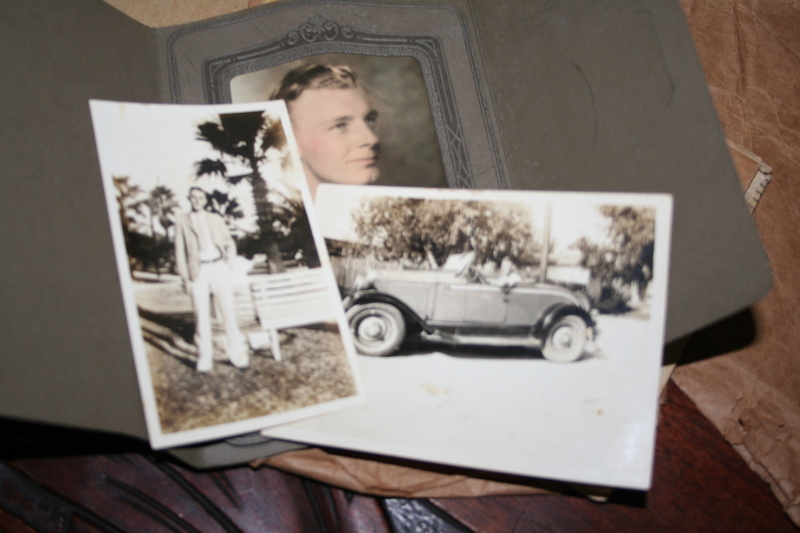 My Mother offered a simple explanation although none was needed that this was a guy she knew long years ago. He had wanted to marry her however the conflict of faiths more or less prevented it so she indicated. I made light of all it and said to her what a lovely card and how wonderful that you kept it all these years. When my Mother passed it was one of the first things I garnered for my daughter and me. A family member when I mentioned it to her, told me that my grandmother, my Mother’s Mother had sent an anonymous, vicious, threatening letter to her that she could not marry Francis because he was Catholic and they were Methodist. May have been the way then, I don’t know. The source telling the story told me Mother felt quite threaten by it and called off the relationship. It seemed odd since my Grandmother did not seem the type to be vicious about anything. Rather a quiet shy woman who just plodded along with life living rather conservatively in a small house in a small town. So I was never quite sure the story was true since too it came from someone who can come up with a good line. I can still see her face telling me the story, however she now denies ever knowing of Francis or the situation. So I haven’t any idea of the true story and since Mother passed long ago there is no way of asking. The mystery of that love lost remains with her yet the loveliness of the beautiful Valentine remains with me and will soon go to my daughter. It is reminder of how we can have love in our lives yet sometimes it isn’t meant to be and although that is the path, it doesn’t mean we forget the touching words of a Valentine. So with this blog I share those words in the Valentine and perhaps you may pass those onto one you love today or another day because in actuality Valentine’s Day and love should be celebrated everyday of the year. Prepared to help – to do! 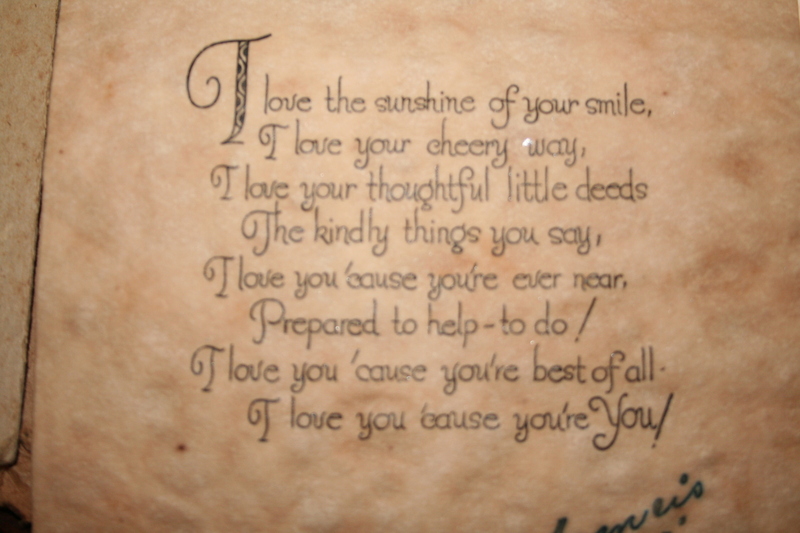 I love you ’cause you’re You! Such lovely words so beautifully conveyed in a lovely presentation. Some how we have lost touch with what the meaning of Valentine’s Day is or was. It has become so commercial that there is pressure to bring flowers, box of chocolates or bracelet, necklace, ring. In truth though, a lovely card such as the one my Mother saved and cherished her entire life can mean more then any box of candy that will disappear, or a bit of bling. It can truly touch the heart as this Valentine must have my Mother and does for me knowing the exchange we had in discovering it tucked between her lovely crocheted afghans…I can still hear the girlish giggle. And so it is The Valentine, ever so special then and now. May they be sitting together as the picture presents in the lushness of heaven because true love never really dies. Happy Valentine’s Day to all….may there be love in your life today and everyday. Love this story. It is probably very true about religion stopping a marriage. When I married, catholic and episcopal, the catholics were not allowed to be in my wedding. My husband had to leave his faith and it was never honored by his Priest. Felt so sinful. That was the 60s. I should wish he had listened, not religion wise, but abusive wise that could have been divine intervention but it wasnt, so I had my life. It may have been a better life for your mom. Melissa, I always love your comments and yes it may have been a much better life for my Mother because my Dad and she were so mismatched. I recall the challenge of marrying outside of a faith yet so many did and it seemed to work. Yours and my life parallel in so many ways. Thanks for your comments and have a lovely day.